KEN YUSZKUS/Staff photo. 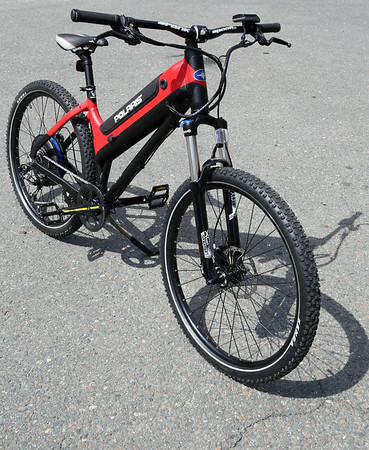 This is one of the four electric bikes that were presented to the town of Marblehead. Two bikes to the fire department at fire headquarters, and two bikes to the police at police headquarters. 5/4/15.